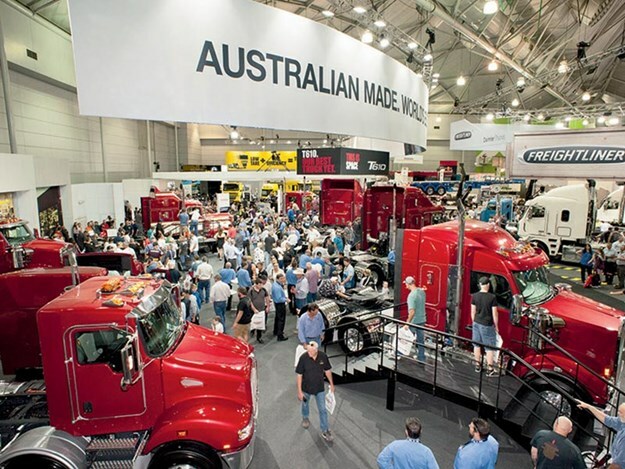 The Brisbane Convention & Exhibition Centre will be bursting at the seams with all the latest trucks, trailers, parts and accessories when over 35,000 people head to the 2019 Brisbane Truck Show for a jam-packed four-day event. 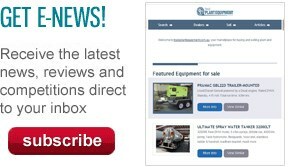 The biennial show is organised by Heavy Vehicle Industry Australia (HVIA), the national association representing and advancing the interests of manufacturers and suppliers of heavy vehicles and their components, equipment and technology. HVIA chief executive Todd Hacking, speaking in advance of the Brisbane Truck Show returning to the Brisbane Convention & Exhibition Centre (BCEC) from Thursday, May 16 to Sunday, May 19, says the 2019 show is part of a full week of celebrations showcasing Australia’s heavy vehicle industry. "The Brisbane Truck Show has come a long way from its humble beginnings when 21 truck, trailer and component manufacturers and suppliers came together at Haulmark Trailers’ premises in Rocklea in 1968," he says. "This year we have been delighted to announce new partnerships with the Queensland Government and Brisbane City Council." "They have come on board because they recognise the value of every attendee to the show, and indeed the enormous contribution our industry makes to the economy. "Through those partnerships we have created a new umbrella event – Australian Heavy Vehicle Industry Week – to capture all of the events and activities going on across Brisbane alongside the Brisbane Truck Show. "The Brisbane Truck Show is by far and away the biggest business event Australia’s heavy vehicle industry holds throughout the southern hemisphere. "It’s inspiring to see the enthusiasm with which trucking operators approach the innovative products and solutions that are showcased at the event. "The countless deals sealed with a handshake during the show are testament of the mutual respect that the heavy vehicle industry and its clients have for each other. "It is also why the show is described as the place where the industry gathers. That side of it is hugely important too. It is for that reason that we have also partnered with South Bank Parklands to expand the show outside of the walls of the convention centre." This year for the first time, streets in the dining and entertainment precinct of Little Stanley Street and Stanley Street Plaza are being closed to traffic to create a hub called the South Bank Roadhouse. "We hope you will all enjoy congregating there with your mates and peers – both old and new – and share in the spirit of this fabulous week of events," Hacking adds. "Brisbane is really opening its doors for us this year and laying out the red carpet." The 2019 show is the fifth that will be held at BCEC and features close to 300 exhibitors. Hacking invites visitors to explore the new features for the 2019 show. "The addition of the NatRoad Conference at the venue in the days preceding the show is a compelling value-add," he says. "The KPMG Insights Centre is another new feature. Visitors are invited to pick and choose from the series of free short seminars, covering an abundance of useful practical information, to aid them in running an efficient, safe and profitable trucking business." HVIA’s new Jobs Hub, located on the Plaza Level, is a "one-stop shop" for students, school leavers and job seekers. Hacking says a new Jobs Exchange will be taking place over the four days of the show with short meetings – much like speed dating – giving job seekers the opportunity to talk to employers about real jobs, available right now. Within the Jobs Hub, visitors will find the Technology and Innovation Centre, presented by the Queensland Government, where they can get hands-on experiences made possible by virtual and augmented reality. The competitors for the popular National Apprentice Challenge have been selected from a record number of nominations with three teams representing each of the HVIA regions including the Eastern Region of Queensland, NSW and the ACT; the Southern Region of Victoria, South Australia and Tasmania; and North-Western Region of Western Australia and the Northern Territory. The three regional teams work simultaneously, on identical trucks, supplied by Iveco Trucks, to identify and rectify a series of programmed faults as the clock ticks. Hacking praises industry partners for their support in continuing to improve the event. "I’d particularly like to pay tribute to our show partners, particularly BP Australia, NTI and Truck Assist, and our Media Partner – Bauer Media Group," he says. "We’re privileged to be joined by organisations like these to continue to build and grow a world-class event for our visitors. "We hope you enjoy your experience attending this year’s show, and all of the other events and activities within it and across Brisbane that will be staged as part of Australian Heavy Vehicle Industry Week . "And please remember to activate your ticket to go into the running to win the brand new Toyota HiLux Rugged X, thanks to CMV Truck and Bus."